"The play's the thing wherein I'll catch the conscience of the King." One of my favorites of all time. But those are the only clues you get. And really, that has nothing to do with what I am writing about tonight. I wanted to blog about plays. I've been fortunate enough to spend a great deal of time in the theatre. Not just a specific theatre...THE theatre. The magical box with a stage and colorful lights and wonder and merriment. I've loved it since my dad took me to see Cats on my birthday in 6th grade. I loved it so much, I made a career out of it. In college, I experienced most of the aspects - lighting, costume, and set design, acting, and my favorite - stage management. As I've followed different paths through my life, I now find myself writing (if you didn't already know that.) And while I am aspiring to be a novelist, it's only fitting for me to to write a play now and then. Over the last few years, I've written a couple of melodramas for a local theatre troupe. I've even gotten to perform in them! Such fun! Last week, I was asked to write a murder mystery for a school organization. My first response was, "No way!" Mystery is not my genre. I look at television shows like Castle and gape in awe. I loved the movie Clue (I was a kid at the time...)! People who can piece together puzzles like that amaze me. But I figured I could glean some inspiration from the shows I enjoy and come up with something. As usual, I started with my characters. I already had a cast, so it was super easy to tailor characters to suit the actors. But it was so much fun to create little quirks and personalities for the show. The setting built itself, and before long, I headed into the dialogue. I scraped it and started over. Yesterday. And today, I finished it. Thirty pages, five victims, one murderer. I don't know if it's any good. I don't know how it will be received. But I love it. I am proud of it. I even made myself laugh a time or two. It's a labor of love, and now, I release it into the world for others to enjoy. At least, I hope they will... And I add another play/genre to my list! Do you have a sweet, secret dream that you keep to yourself? I have a bunch, but there was one in particular that I wanted to share. Tonight, I had the privilege of singing our national anthem at a local high school sporting events. There's nothing like it! I've mentioned it before here on this blog, but I'll say it again - if you haven't belted it out at an event like that, you should! It's electrifying! What an honor! Didn't you just love that?! Man, those hair bands of the 80s were something! The funny thing - I hated that music when I was younger. I was a Broadway buff, and I thought "heavy metal" was just noise. Now, I love it! In watching the headbanging, guitar solos, and flashing colored lights, I was reminded of my dream of singing with a rock band like this one. When I was younger, I was absolutely certain that if I could just get close enough to one of the New Kids on the Block (yes, I realize a boy band is a far cry from a hair band), I could convince them to take me on as the sixth New Kid. Pretty sad, huh? I've had lots of opportunity to perform onstage. I've appreciated each performance, and I've had a blast! But someday, I'd like to rock out with an awesome band. And that's just one of my sweet, secret dreams. I am giving away free physical (signed!) copies of Asylum through GoodReads! I hope you'll enter the contest drawing. You have until Valentine's Day to sign up! Giveaway ends February 14, 2013. I love writing contests. Especially free ones! I've entered several, and I am grateful for the opportunities they've provided. It's a great way to get some exposure and to gauge where your work stands. I plan on entering, given that my genre is science fiction! I hope you'll join me in blessing the judges with some awesome work! Make their job super hard! I know, I know - pride comes before a fall. But can I turn that around? Can I say that I am proud of what my God can do? He's taken a dream of mine, and blown it bigger than I ever thought possible. Sure, there's lots of room to go. I haven't received a publishing contract, a movie deal...or even an agent yet, but look at the lovely picture there on the left. This is my book in the window of a Barnes & Noble where I used to work. God is so good. And I fully believe He knows the desires of our hearts long before we do. I give Him all the credit and glory. I thank HIm for using me in such an incredible way. After all - my dear Logia say it best...Soli Deo Gloria! I hope I'm not the only writer out there who dreams of the movie version of their novel. Shortly after writing Asylum, I entertained the notion that perhaps one day I'd walk into a movie theatre and see the poster for it. Of course, at the point, I'd just be happy to walk into a bookstore and see my book on the shelf...but tonight, I'm dreaming. A friend asked me who I would cast in the roles of Chase and Trista. Tough call. The actors I like are all too old to play Chase! As I wrote him, though, I thought of Peter Krause from The Lost Room. (He's been in many other things, but that's my favorite.) Chase is only around 23 years old, so that wouldn't work. I guess I'll just have to leave that one up to the casting agent. Trista - believe it or not, I didn't really have anyone planned for her role. I felt terribly sorry for her character, but as a writer, it's my job to take her beautiful, perfect life and wreak havoc with it. I do believe whomever would play that role would have to be a really good actress. Trista has quite a range of emotion. Now, as little thought as I may have put into casting Asylum, I have a full cast lined up for Valor. That carries over to Asylum because there are many recurring characters - Cam, Selah, Seraph, Redic, Brax (love him! ), Armand... The problem (again) is I wrote that close to eight years ago, and the actors have aged! So I'm quite happy that I won't have to worry about casting. If there's ever movies made. And I hope there will be. And so, my dear readers - I put the question to you. Who would you cast in the roles of Chase and Trista? One thing a writer has to be good at is getting into other people's heads. Now, I'm not talking about psychic connections or any of the crazy stuff I like to write about. I'm talking about understanding what a character might be going through in a specific situation in order to translate that to a page. Throughout my day, I encountered people who made me think about what life might be like through their eyes. At our grocery store, there's a pretty, young woman who is a checker. She had a blue ribbon in her hair today, but it was only there for decoration. Her long, black hair hung in loose strands across her right eye. That would drive me crazy! I have bangs, and when they get too long, I cut them off. What kind of person would be able to tolerate that?! As I watched her look toward the door (through those straying locks), I imagined what she must be seeing. Does she even notice the hair? Or is she so used to it, she looks beyond it? Does she have something to hide? Is she shy? What a great exploration in character! I'll have to remember her when I write certain characteristics. Tonight, we attended a basketball game at our high school. I always scan the stands to see who is there that I might know. Across from us, sat a group of kids with sombreros. One of them wore a Scream mask under the hat. I thought about what it must be like to conceal my identity in such a crowd. And what it would be like to watch the game through the eyes of the mask. Plastic distorting the court below; the loud cheering and drums of the band muffled only slightly by the shroud. A totally different perspective. Then I stopped analyzing people. I looked down at my husband and my son. My little guy just turned seven. He's not so little anymore. Through this mom's eyes, I saw a little boy growing up too quickly. My baby I cradled and rocked sitting on a bleacher, taking in the sights and reveling with the drumline. The boy working his way through childhood - wide-eyed and receptive - impressionable and curious - smart and funny. Through this mom's eyes, I saw his future coming all too quickly...and I shall soon have to let him go. But for now, I can still hold him. Still snuggle with him. Still love on him. And I plan to. I will look at him through the eyes of love, and hold onto every possible moment. I love that little boy who is turning into a young man. I am so glad he's mine. And I bet before too long, I'll look at him and wonder what's going through his mind. What it is like to look through his eyes. As I've said in previous blog posts, I am so grateful for the feedback I am receiving regarding Asylum. It's most helpful! I can apply those thoughts to future works. One thing I wanted to address - and I hope folks will chime in with comments - is "foreign" terminology. Because I created the Circeae system, I wanted to incorporate ideas that were similar to everyday things we know, but to give them a home in their new environment. Weaponry, for instance, lends itself to interesting names. Star Wars has blasters. Star Trek has phasers. The Circeae system needed unique weapons. I chose "slayer" and "queller". One is deadly, the other is not. I did include a "glossary" of sorts in the back of the book, but one reason I didn't go into a lot of heavy detail and description is a rule that many writers follow - trust your readers. You guys are smart! Educated. You're actually reading a book, so that says something for your intellect. I trust you to be able to figure some things out. The other thing I have to keep in mind is that Asylum falls late in the series. A lot of things might have been explained in the previous novels (yes, most of them have been written!) The only reason Asylum was published first is because it won the WestBow contest. I felt it was my strongest piece at the time - which is why I entered it. So hang in there! It will all come to light one day. Hopefully sooner rather than later. In the meantime, please, please, please keep the feedback coming! I am so appreciative of the time it takes to not only read a book, but to comment or review it. I am grateful to each and every one of you who have given me even the shortest response! And like I said, that really helps me to learn and grow as a writer. I just got to send an email to a reader who had written to me through this website. It was so awesome to be able to communicate details that I may not be able to get across otherwise. I found the note to be encouraging and uplifting! I appreciate the feedback - even if it contains constructive criticism. How else can I grow as a writer? So it you have something to say, I would love to hear from you! 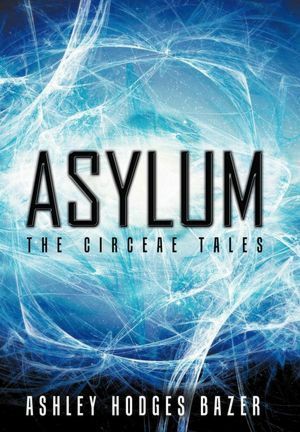 Have you read Asylum? Did you like it? Hate it? Relate to it in some way? Or are you a writer, too? Do you have some sage advice? A question you're dying to ask? I'm pretty easy to get in touch with. And you can email me at ashleybazer@ashleybazer.com. Have you ever been part of a community of folks where you immediately fit in? Some people might find that in a church or a support group. I have found it on - of all places - Facebook. Now, I've had rants over technology. There are reasons I don't like it. But tonight, I have to give praise to God for the way He uses unconventional ways to bring His people together. I've been part of a group on Facebook for several months now. I've made lifelong friends through this group. People I can laugh with and cry with. All because we have smiliar interests and a relationship with Christ. They are so awesome! And while I realize these are cyber connections, I know if we were to meet in real life, we'd be instant friends. Brothers and sisters. Tonight, our little group encountered a larger group just like ours. In just a few mouse clicks, our family grew! It's so neat to see God at work! So...to my Dork friends - you guys are so wonderful, and I thank you for the bonds we've formed! Know that I am always here for you, and I keep you lifted up in prayer. And to the new folks - I look forward to getting to know you!